THE SPIRIT OF LAWS => HAVE WE BECOME A NATION DEFINED BY HYPOCRISY? Have we become a nation defined by hypocrisy? WHAT IS A HYPOCRITE? Some time ago we consider that question, and so we have defined the term. 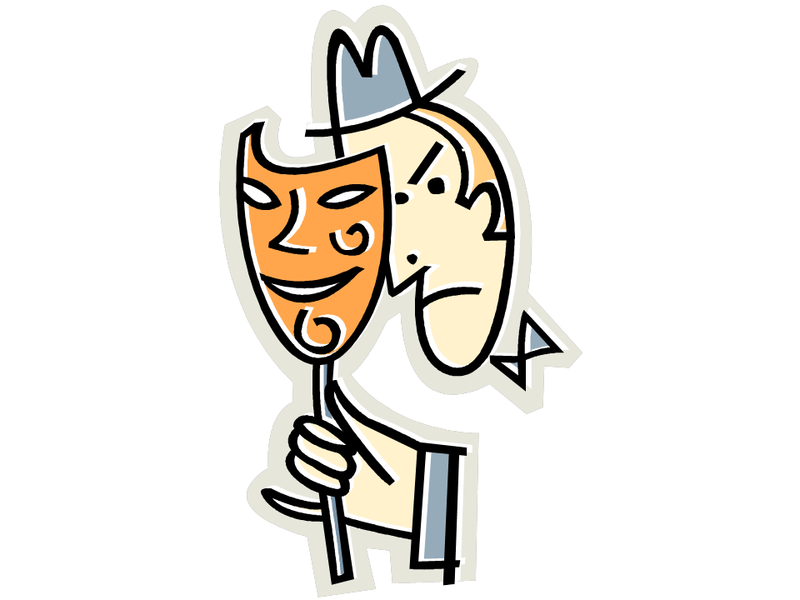 In WHAT IS A HYPOCRITE?, we considered the temptation our leaders face to become hypocrites. What about us? When Charles de Secondat, Baron de Montesquieu wrote The Spirit of laws, he surveyed the effect of the customs and manners of many Peoples, examining how the customs and manners affected the ability of a people to govern themselves. What about us? The United States Constitution describes how we should operate as a republic. We pay lip service to that document, but do we do what it says? Have we even bothered to read it? What powers are our leaders suppose to have? What powers have they illegally seized? Does it make any difference? DOES IT? Consider the behavior of the citizens of Rome as their republic faded from view. Here Montesquieu describes how Roman people retained the appearance of having a republic without actually having a republican form of government. 3. Of Tyranny. There are two sorts of tyranny: one real, which arises from oppression; the other is seated in opinion, and is sure to be felt whenever those who govern establish things shocking to the existing ideas of a nation. Dio tells us that Augustus was desirous of being called Romulus; but having been informed that the people feared that he would cause himself to be crowned king, he changed his design. The old Romans were averse to a king, because they could not suffer any man to enjoy such power; these would not have a king, because they could not bear his manners. For though Cæsar, the Triumvirs, and Augustus were really invested with regal power, they had preserved all the outward appearance of equality, while their private lives were a kind of contrast to the pomp and luxury of foreign monarchs; so that when the Romans were resolved to have no king, this only signified that they would preserve their customs, and not imitate those of the African and eastern nations. To dominate an increasingly decadent people, Augustus just had to avoid the appearance of what he had in fact become, a tyrant. Contented with what they knew in their hearts to be a facade, the Roman people assented to this farce. Instead the man we now know as Augustus, Gaius Octavius, graciously settled for the the new titles of Augustus and Princeps (from here). Eventually, as the tyranny grew in strength, later Roman Caesars declared themselves gods. These demanded worship and sacrifices, making any mere king seem quite reasonable. Because they had failed to check their own hypocrisy, the Romans under Augustus’ rule condemn their progeny to suffer something far worse than the rule of a king.